It's no secret that fall is the perfect time of year to cuddle up and get cozy. Keep your family close this autumn as you engage in some cozy family activities! 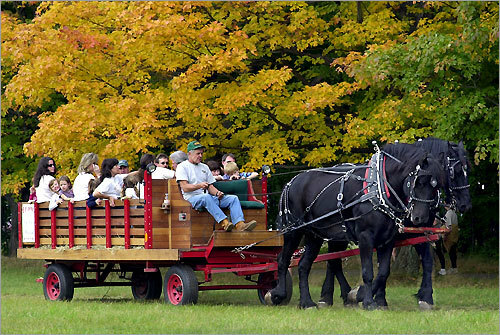 Plenty of farms have family hayrides this time of year. Now what is more cozy than curling up among some hay and taking a ride through the woods? Try to find a farm with additional activities for the family, and make a day out of it! Nothing ends a hay ride better than a donut and a hot cup of cocoa. 1. First, bring the cream and brown sugar to a boil in a medium saucepan over medium heat. Stir in the cider and the water and raise the heat to medium high, heating just until the cider begins to steam, about 4 minutes. 2. Divide among 4 mugs, top each one with 2 tablespoons of caramel whipped cream (recipe follows) and serve immediately. 3. Caramel Whipped Cream: In a small chilled bowl, whip the heavy cream with the brown sugar until soft peaks form. When the summer heat is gone and it's time to play inside, there isn't a child who doesn't love to create a camp in the house. If you don't want to set up a tent in your living room, let your child be creative with blankets, pillows, chairs and cushions. Your child will have so much fun playing in their new "house," and an extra special award for finishing chores or behaving well in public might be the chance to sleep in their new creation. Before cleaning up in the morning, serve breakfast at their door and talk about their experience. Even better, spend the night with them in their tent! 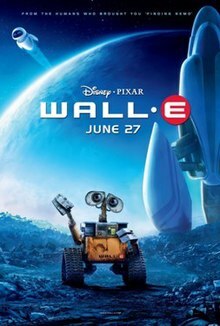 WALL-E, the story of a robot designed to clean up a garbaged covered eart at some point in the future. This movie has a wonderful story that kids and adults alike can appreciate. Monsters, Inc., a story of the monsters that live in our closets, and how they need to scare children to survive even though their biggest fear is children! Very cute film. The Parent Trap - two estranged twins meet at a sleepaway camp and swap in order to force a meeting of their parents. Ahh, Lindsay Lohan in her innocent years. Such a cute movie for kids of all ages. After you watch it, play clips of the origial Parent Trap with Haley Mills. Your child will be flabergasted by such "old" footage that you watched when you were a kid! No matter what type of cozy activities you and your family enjoy this fall, remember to hold tight to your little ones and hug them more than necessary! These years go by entirely too fast, and we need to get that squeeze time in while we can! What a GREAT challenge, Holly!! I LOVE Fall. It's my favorite season. I will definitely be reading this series and looking for ideas for my family. I love the last paragraph!! Great activities. My husband loves apple cider, we'll have to try this one, sounds delicious!